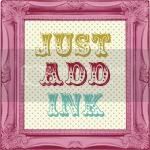 Stampin' With Leah : Just Add Ink 176. 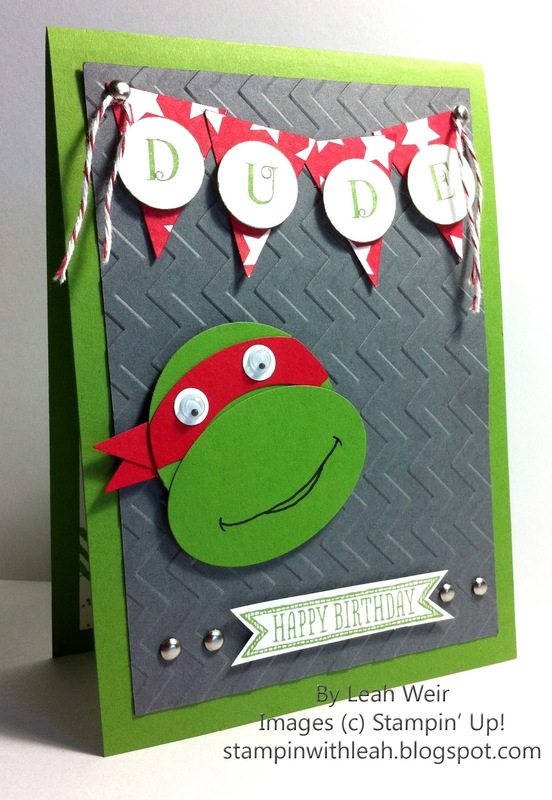 Morning, today's card is an other male card I made for a 6 year old who is having a Teenage Mutant Ninja Turtle themed party. So it fits right in for this weeks challenge at Just Add Ink which is Just Add Blokes, any age. I really liked how this card came together. I think he'll love it. There are a few punches need for this card, 1 3/4" circle, wide oval, petite pennants builder, owl builder (eyes), 3/4" circle. Colours used are Gumball Green, Real Red, Basic Grey and Whisper White. 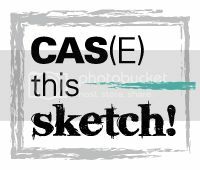 Stamp sets used are Occasions Alphabet and Sketched Birthday. Other products used are googlie eyes, silver brads, bakers twine, black maker and the Chevron Embossing Folder. Hope you have a great weekend, I'm going to do a bit of gardening today as it such a beautiful winter day here. Til next time. This is too cute Leah! Love this little guy and the matching sentiment. So creative! Thanks for joining us at Just Add Ink this week! This card is so adorable! I'm sure your son will love it. Leah, this is SO cute!! I just love how the red starry banner complements the red eye mask. Great colour choices for this card, and just oh-so-clever for a little boy. Thanks for joining in the fun at Just Add Ink this week! 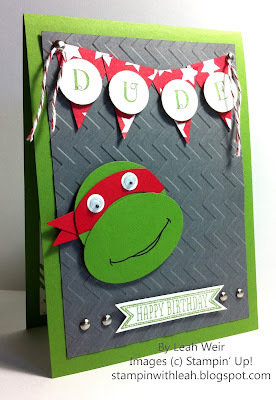 Loving your Raphael Leah, l have a 4yr grandson that would be over the moon to get a Ninja Turtle card like this...they have definitely made a huge comeback. Perfect for this weeks Just Add Ink challenge and it makes me smile! Thanks for playing. A cute kids card, love the punch art. Thanks for joining in with our challenge this week at Just Add Ink.